Mount Druitt Hospital Children’s Ward kitchen after the renovation. 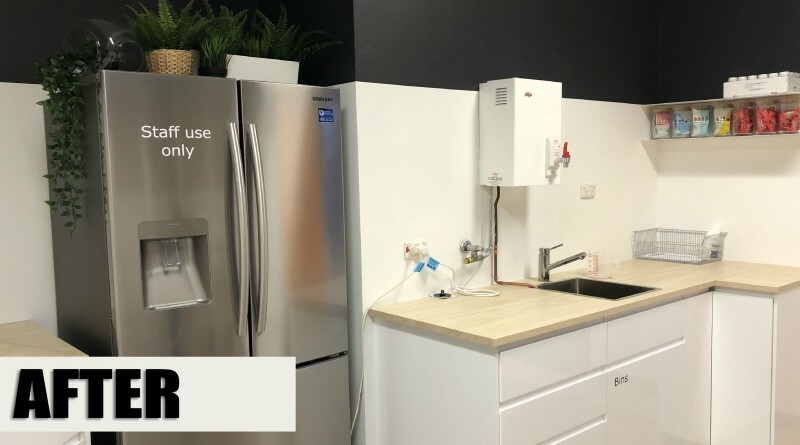 Furniture giant IKEA have completed a $12,000 renovation of the carer zone and kitchen area in the Mount Druitt Hospital Children’s ward and transformed them into “showroom” style areas. Mount Druitt Hospital nurse unit manger Katherine Barry said the ward was entered into a online competition to win this refurbishment. “The Children’s ward is a busy ward with more than 3,000 of children admitted each year,” Ms Barry said. “We have many parents or carers who are exhausted after visiting their child and require a lot of time out for themselves. “The new look rooms will help the parents or carers relax and feel more at home and not feel like they are in a hospital. “All furnishings and paint were supplied by IKEA. Mount Druitt Hospital Children’s Ward kitchen before the renovation. Mount Druitt Hospital Children’s Ward new carer zone for parents and carers.